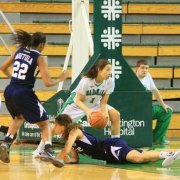 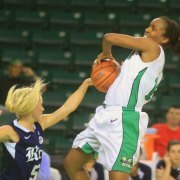 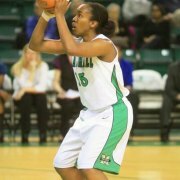 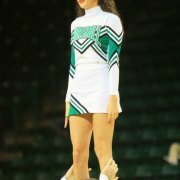 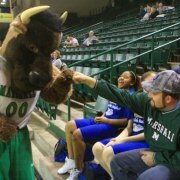 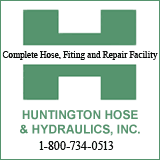 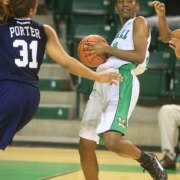 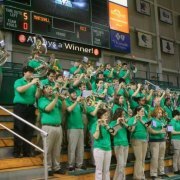 HUNTINGTON, WV (HNN) The Marshall women's basketball team broke a five game losing streak with a 65-57 win over Rice at Cam Henderson Center on Thursday evening.Many things were going right for Marshall this night. 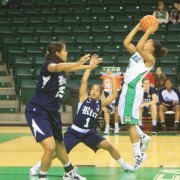 Marshall jumped out to an early 17-2 lead and never looked back. 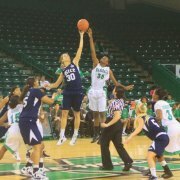 Marshall was up 36-25 at the intermission. 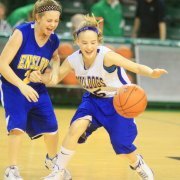 During the break the Enslow Middle School girl's basketball team played. 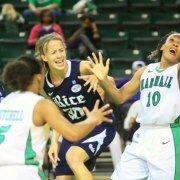 Rice closed the gap to within 7 points 61-54 with 53 seconds left. 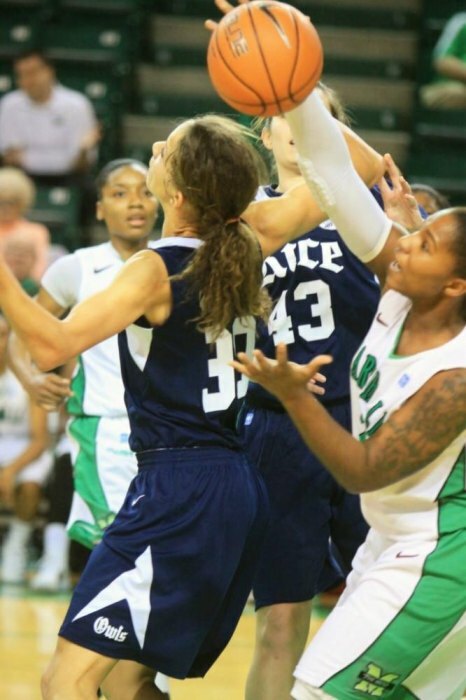 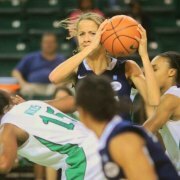 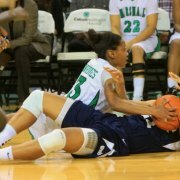 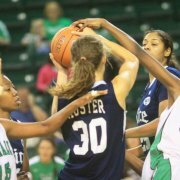 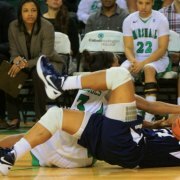 Rice tried to foul, but Marshall held off the threat for the 65-57 win. 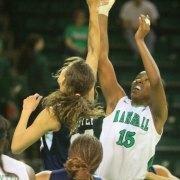 For Marshall it was a team effort with every player seeing some playing time. 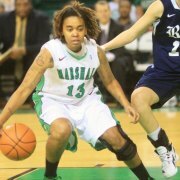 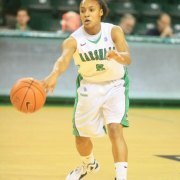 For Marshall's Alaya Mitchell it was her best game to date as a Herd player. 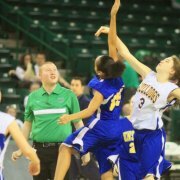 She led her team with 16 points scoring 6-11 from field goals and was a perfect 4-4 at the foul line. 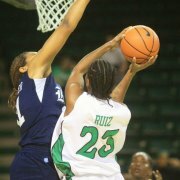 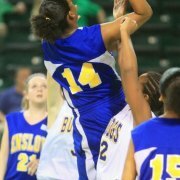 She also had 3 defensive rebounds. 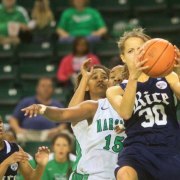 In the Conference USA race Marshall was ninth and Rice was in fourth place. 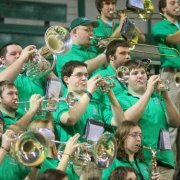 Another challenge comes this Sunday (Feb. 5) at 1 PM when third place UAB comes to town. 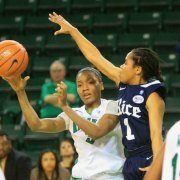 UTEP is in first place in Conference USA with an 8-0 mark and 19-2 overall. 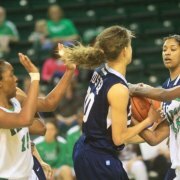 Memphis is in second place with an 8-1 Conference USA mark and 16-4 overall. 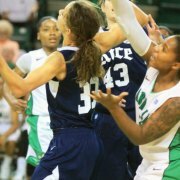 With the Rice win Marshall is 4-4 in Conference USA and 13-8 overall. 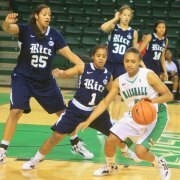 Rice is 5-4 in Conference USA and 11-11 overall.